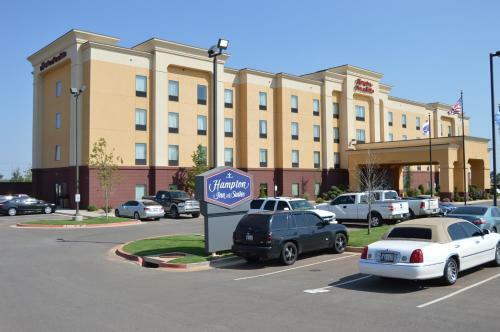 Hampton Inn & Suites Elk City features an outdoor pool, gym and rooms with 32-inch flat-screen TVs with HBO. 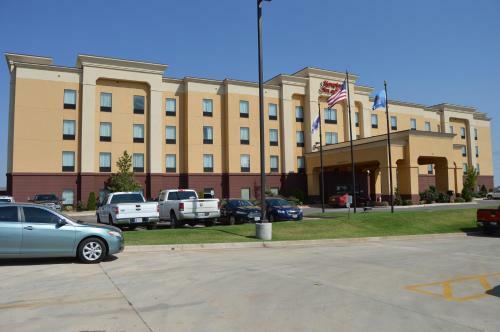 This Oklahoma hotel is 3 miles from National Route 66 Museum. All rooms are equipped with microwaves, refrigerators and coffee makers. They provide free Wi-Fi and also include seating areas and desks. For guests’ convenience, the hotel offers a business center. Additional on-site facilities include a barber/beauty shop, florist and gift shop. Guests can enjoy a daily breakfast buffet. Old Town Museum Complex and Ackley Park are 3 miles from Elk City Hampton Inn. Flying W Ranch is 5 miles away. 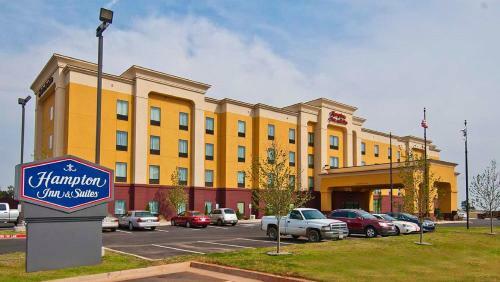 the hotel Hampton Inn & Suites Elk City so we can give you detailed rates for the rooms in the desired period.